Braids are one of the best hairstyles because they’re both fashionable and practical. If you’re looking at a braided hairstyle for your wedding day, prom or homecoming hairstyle, or just want to try a new look then check out these half-up half down braided looks. 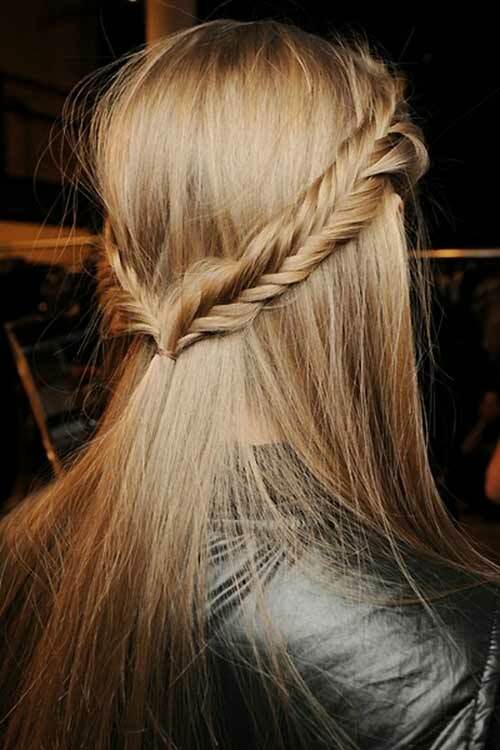 This fishtail braid has made a big statement with braid lovers. This simple braided hairstyle is perfect for every occasion. An amazing twist on the fishtail braid. If you are looking for a bridal braided hairstyle or a hairstyle for your prom then you really can’t wrong with this crown French braid with big curls. Gorgeous curly half up braid hairstyle. A great way to spice up your everyday half up hairstyle is to braid the ‘up’ part. 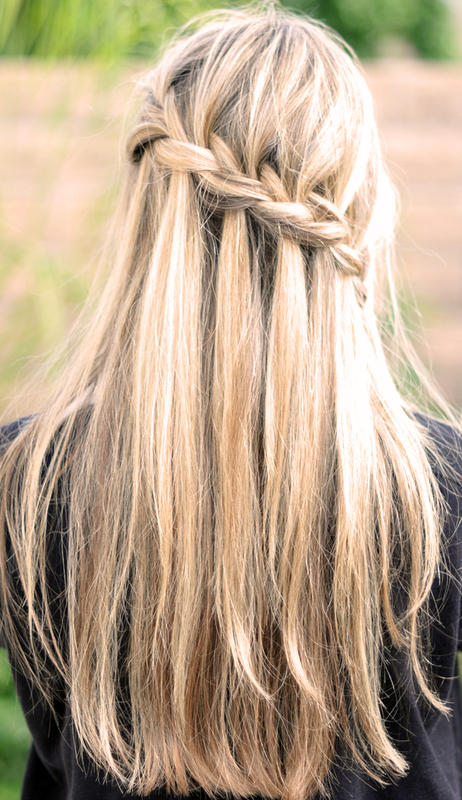 You can opt for a regular braid but we love this messy fishtail braid look. This sleek hairstyle wraps around the head with two different braids and styled with straight hair and side-swept bangs. This look is perfect for a wedding, spring style, or a holiday party. Amazing double braid sleek hairstyle. If you’ve worn the fishtail and French braid many times and now you want a new braided hairstyle then try the simple waterfall braid. This hot new hairstyle is tremendously easy to recreate Best of all, this look is perfect with every hair length and texture. The waterfall braid is trendy and beautiful. The Duchess of Cambridge, Kate Middleton always has her flawless brunette hair in a simple hairstyle but one of our favorites was the hairstyle that she had at her wedding last year. This pinned back top section braid paired with a stylish hat was a nice change from her usually left-down locks. A braided hairstyle fit for a princess. We love this small crown braid that features two French braids that meet in the middle to create volume around the crown. You can style the rest of the hair in tight curls or wear it straight but it looks perfect with relaxed curls. Simple voluminous crown braid half up hairstyle.